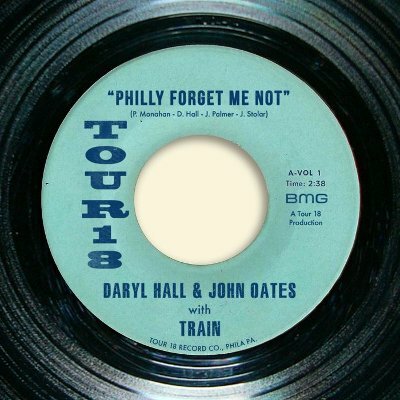 Daryl Hall and John Oates have teamed with Train for their first single in fifteen years, "Philly Forget Me Not". The two artists are touring together this summer and made the decision to record the new song with Hall and Train lead Patrick Monahan trading vocals. John Oates thinks it will be "cool to play a new song on this upcoming tour with Train" while Hall said of the song that it "pretty much describes my feeling about Philly, my music home." Monahan said that it was a life-long dream to record with the duo. "Train couldn't be more excited – listening to them and playing alongside them on tour each night is going to be incredible." The audio/video of the song even includes the label of an old style 45 giving the song even more of a throw-back vibe.